New York: Alfred A. Knopf. Very Good+ in Very Good dust jacket. 1964. Hardcover. HC/DJ - very good. Pages clean and intact, with no markings other than previous owner's name written very small on endpage, light soiling upper edge of pages. Dustjacket has age tanning, darkening to spine, light soiling and a few tiny edge tears, partial old price sticker on spine. Copyright 1951, 1964 printing. ; 12mo 7" - 7½" tall; 207 pages; Partial contents: The historic Europe and the rise of Russia, The political foundations of modern Europe, Europe in the Age of Nationalism and Imperialism, World War I, Europe between Two World Wars. Etc,. In a challenging historical retrospect, the Sterling Professor of History at Yale argues that the old political order created for Europe in 1815 broke down with the First World War. Since then, he contends, american policy toward Europe has too often suffered from the illusions that the historic Europe as we knew it could be revived or that we could forget its history altogether. (288not,0914) . Oxford University Press. Very Good. 1969. First Edition. Softcover. 0195002601 . 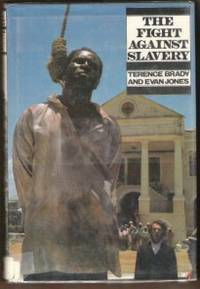 Earlier 1969 printing, Oxford Press. Pages clean and intact, age tanning to page edges and inside covers. Cover has light wear to edges/corners and some light creasing, light soiling to rear cover. (322osl? ) ; 8vo 8" - 9" tall; 208 pages . London: The Galley Press. Near Fine in Very Good dust jacket. 1960. Hardcover. HC/DJ - near fine/very good. Hardcover clean, tight and unmarked other than a couple light spots outer edge of pages. Jacket has light edgewear, light soiling and several tiny edge tears, not clipped. 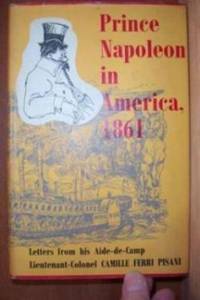 First published in 1862 under the title, Lettres sur les Etats- Unis d'Amerique, In 1861 Prince Napoleon visited the U. S. Accompanied by his aide-de-camp, Lt. -Col. Ferri-Pisani. Ferri-Pisani, who later rose to the rank of Lt. -General, wrote this series of letters presenting a moving and spirited account of what he saw. [432-noto] ; 8vo . Ballantine Books. Very Good+ in Very Good+ dust jacket. 2004. First Edition. Hardcover. 0345450671 . Ex-library book, but still in great condition - brodart cover and usual ex-lib type markings such as front and spine sticker. Pages clean and tight, a little scuffing to cover, bumping to corners. Only light wear overall. ; 8vo 8" - 9" tall; 288 pages; The deciphering of the Rosetta stone was one of the great intellectual triumphs of all time, unlocking the secrets of thousands of years of Egypts ancient civilization. Yet in the past two centuries, the circumstances surrounding this bravura feat of translation have become shrouded in myth and mystery. Now in his spellbinding new book, Daniel Meyerson recounts the extraordinary true story of how the lives of two geniuses converged in a breakthrough that revolutionized our understanding of the past. The emperor Napoleon and the linguist Jean-Francois Champollion were both blessed with the temperament of artists and damned with ferocious impatienceand both of them were obsessed with Egypt. In fact, it was Napoleons dazzling, disastrous Egyptian campaign that caught the attention of the young Champollion and forever changed his life. 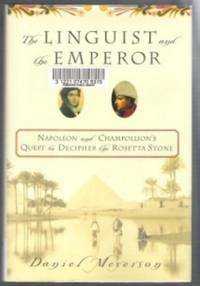 From the instant Champollion learned of Napoleons discovery of a stone inscribed with three sets of charactersGreek, Coptic, and hieroglyphiche could not rest. He vowed to be the first to crack the mystery of what became known as the Rosetta stone..... [417-noto] . Hodder & Stoughton Ltd. Good+. 1974. Softcover. 0340178647 . Pages clean and unmarked, light age tanning to interior. B/w photos. Cover has several creases, light edgewear, and small silver ink mark on spine. "An almost magical evocation of country life....in the lost England of the first World War and shortly after." --The Sunday Times (110os) ; Coronet Books; 12mo 7" - 7½" tall; 160 pages . Univ. of Alberta. Near Fine. 2004. First Edition. Softcover. 0921490151 . Excellent condition. Pages are clean, tight and unmarked, other than one small spot to an outer edge. Cover has light scuffing and very light edge/corner wear. 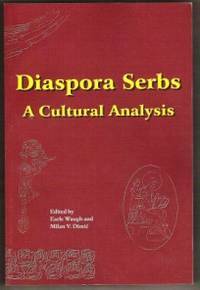 Contents: Serbs and Identity Issues; Serbian Churches and Folk Culture; Serbian Arts and Literature; New Perspectives in Serbian Identity; Western Policy and Serbian Immigration; Appendix. [420-osl? ]; 8vo 8" - 9" tall . British Broadcasting Corporation. Very Good in Very Good dust jacket. 1975. First Edition. Hardcover. 0563128682 . Clean, tight condition. Ex-library book but still in quite good condition - brodart cover and usual ex-lib type markings. Pages clean, brodart has some scuffing and light edgewear. Jacket is taped to book. Profusely illustrated in b/w. Covers the same material as in the BBC2 dramatised documentary of the same name. "Reports of abolitionists like John Newton stimulated opposition to the barberous & immoral slave trade, but initially it was only a small band who fought to end the system, including William Wilberforce, Pitt the Younger & Charles James Fox. 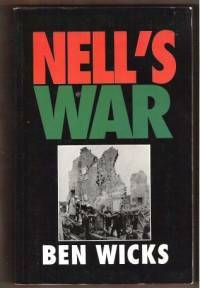 They conducted a long campaign, which led to the end of the infamous trade in which Britian had made vast profits and Africa had lost 40 million men, women & children..." ; 8vo 8" - 9" tall; 144 pages . Flemish-Netherlands Foundation. Very Good+. 2000. First Edition. 9075862423 . Softcover. Great condition. Ex-library with only light wear, laminated cover & usual type markings. Pages are clean & tight. Cover has light scuffing and a little wear to corners & spine ends. B/w & colour illustrations. "The articles in this book survey the living, contemporary culture of the Low Countries as well as their cultural heritage. 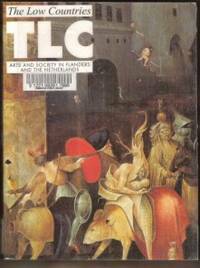 In its words and pictures The Low Countries provides information about literature and the arts, and also about broad social and historical developments in Flanders and the Netherlands. " (*Note - due to heavy weight, there will be an addt'l shipping charge to most locations) ; 8vo 8" - 9" tall; 320 pages . Toronto: Stoddart Publishing. Very Good. 1990. First Edition. Softcover. 0773754717 . Very nice condition, light edge & corner wear, light creasing/scuffing to covers. Interior of pages unmarked. "Early in the Second World War, Hitler vowed to bring Britain to its knees. As the mighty Luftwaffe gouged its path of destruction throughout the summer and fall of 1940, it seemed he might succeed. But the British still worked, raised their children and, their bedding in hand, made their way to crowded underground shelters at night to escape the enemy bombs. This is their story, told in their own words. " b/w photos [377-notosl] ; 8vo . Ontario: Canadian Gas Association. Fine in Near Fine dust jacket. 2007. First Edition. Hardcover is clean, tight and unmarked. One indent on top edge. Jacket has light edgewear, a little scuffing, and three small tears to top edge. Oblong (8.5 x 10"). 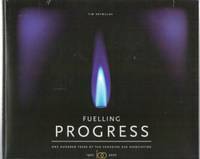 The author examines the first 100 years of the Canadian Gas Association, providing a history not only of the association but of the gas industry and Canadian energy policy during that time as well. Profusely illustrated. (*Due to heavy weight, there will be an addt'l ship charge to some locations) ; 8vo 8" - 9" tall . St. Martin's Press. Very Good. 1989. First Edition. Softcover. 0312003048 . Light edgewear, moderate corner wear, some corner curling, light soiling outer edge of pages. Internal pages are very good except for approx. 8 pages with underlining/highlights/writing (fairly minor). B/w illus. 550 pages. "focuses on global history as a history of encounters rather than separate civilizations, walking a fine line between reinforcing a Eurocentric view of history and describing earlier periods of Islamic or Chinese expansion. 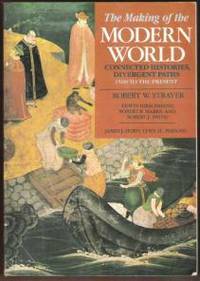 It uses a comparative approach and attempts to strike a balance between narrative and analysis in its coverage of the first modern societies and Europe's expansion in the Middle East, India, Asia, and Africa. Includes b&w photos and diagrams. " ; 8vo . London: Chatto & Windus. Very Good. 1984. First Edition. Softcover. 0701128577 . Only light wear overall, a little wear to corners. Internal pages are clean & tight, except for one page with some writing in pen & another page which is a bit wrinkled. Square (approx. 7x7"). 128 pages. B/w photos. 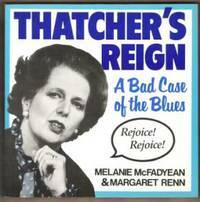 "...a thoroughly researched and illustrated record of all things Thatcher. Informative, outrageous, entertaining and disturbing, here's reason enough to 'Rejoice! Rejoice! '..." (*shipping will be reduced to some locations) [osl]; 8vo . Prentice Hall. Good+. 1992. First Edition. Softcover. 0132770474 . Ex-library book, but still in good condition - laminated cover and usual ex-lib type markings. Light edge and corner wear to cover, light soiling outer edge of pages. Interior very good - occasional light wrinkling or earmarks. 260 pages. 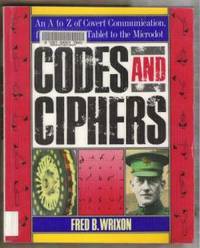 ; 8vo 8" - 9" tall; "This thoroughly researched, highly readable volume has biographies of famous--and infamous--spies and cryptographers, illustrations of codes and cipher devices with explanations of how they work, and fascinating examples of how covert communications have changed the course of history, from ancient times through World War II and beyond. 50 photos and illustrations; tables and graphs throughout. (500) . Truman Talley Books / Plume. Very Good+. 1995. First Edition. Softcover. 0452270634 . Ex-library book, but still in very good condition - laminated cover and usual ex-lib type of markings. Cover has light edge/corner wear, a small amount of soiling to outer edge of pages. Interior is clean and intact, a couple lightly wrinkled pages. 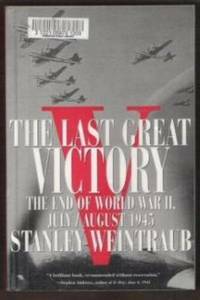 ; 8vo 8" - 9" tall; 730 pages; "From the inner councils of the Japanese to the fateful decisions to atom-bomb Hiroshima and Nagasaki, Stanley Weintraub brings to life this watershed month in which empires fell, old orders passed away, and a new age began. "The best account yet of the war's final month". --Newsweek". .
London: Quartermaster-General. Good. 1942. First Edition. Hardcover. Cover has light edge and corner wear, corner bumping, sticker residue one upper corner, small tears spine ends. No dustjacket as issued. Pages all intact, one partial paper split at spine inside rear cover. 27 fold-out diagrams at rear. A small number of pen markings were noted (quite minor) , one small stamp, one or two earmarks and occasional light wrinkling of pages. Age tanning to pages. Fold-out plates have occasional small tears/creasing. Appears 3 pages were clipped out between diagram 26 & 27 - don't know what these may have been. Also, plate 19 has been removed. B/w illustrations. 238 pages plus plates. Main Headings: The Railway Line of Communication; Railway Capacity; Organization & duties of Operating Personnel on Military Railways; Operating Control; Train Working, Time Tables; Rolling Stock Distribution; Station, Yard & Depot Layouts; Signals & Block Working; Steam Locomotives; Oil Burning Locomotives; Diesel Locomotives; Locomotive running & shed work; Rolling Stock; Rolling Stock Mtnce; Ambulance Trains; Operating duties in connection with the handling of Freight and Personnel; Accidents & Breakdowns; Reports, Statistics, Records & Returns. (400); 8vo 8" - 9" tall . Toronto: Tundra Books. Fine. 2005. First Edition. Softcover. 0887767095 . Excellent, as new condition other than a crease across back cover. Clean, no markings. 120 pages. B/w photos & illustrations. "Thousands of mothers carried their babies to the gates of the Foundling Hospital desperate to save them from the cruel streets of eighteenth-century London. Each baby was left with a personal token identification if a repentant mother ever returned to reclaim her child. Captain Thomas Coram, himself childless, was inspired by the sight of babies abandoned on dung heaps to petition the king for support in building a home for England's poorest children. Coram's vision saved countless children's lives. 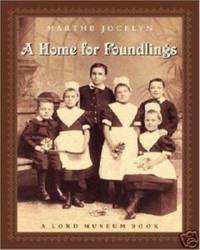 A Home for Foundlings describes the hospital Captain Coram founded, the luminaries involved including Handel, Hogarth, and Dickens and the daily lives of the foundlings themselves...." [295-osl]; 4to 11" - 13" tall . Random House. Very Good. 2005. First Edition. Softcover. 0375760121 . Clean & unmarked, only light wear overall. 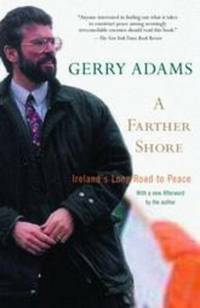 Book Description: Hes been imprisoned, shot at, denounced, shunned, and banned, yet Sinn Féin president Gerry Adams remains resolute in his belief that peace is the only viable option for the Irish people. Adams led the oldest revolutionary movement in Ireland on an extraordinary journey from armed insurrection to active participation in government. Now he tells the story of the tumultuous series of events that led to the historic Good Friday Agreement as only he can: with a tireless crusaders conviction and an insiders penetrating insight... [400-noto]; 8vo . London: Allen & Unwin. Near Fine in Very Good+ dust jacket. 1971. First Edition. Hardcover. 0049420941 . Believed to be author's signature on endpage, "With kindest regards, Bill J. " Hardcover is fine other than very light wear to spine ends and bottom edge, otherwise clean and unmarked. Dustjacket has age tanning and light edgewear, no tears, light soiling to rear. "Although there have been many studies of the English revolution and its more dramatic trials, little attention has been given to the Long Parliament's attempts to impeach a number of judges. 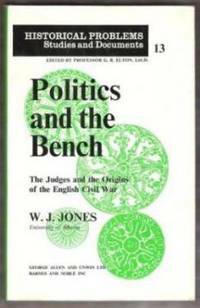 The author describes how the judges became unpopular - selecting a number of themes - from the development of unanimous decisions and opinions, to the role of the judges as agents & supervisors of government policies..." (400) ; 8vo 8" - 9" tall; Signed by Author . London: Macmillan. New in New dust jacket. 2001. First Edition. Hardcover. 033379348X . Book is new, with light shelf wear to the dustjacket involving 2 small tears to upper spine and light scuffing to rear - otherwise as new. " Different conceptions of the world and of reality have made witchcraft possible in some societies and impossible in others. How did the people of early modern Europe experience it, what was it, and what was its place in their culture? ......; 8vo; The news essays in this collection illustrate the latest trends in witchcraft research and in cultural history in general. After three decades in which the social analysis of witchcraft accusations has dominated the subject, they turn instead to its significance and meaning as a cultural phenomenon? 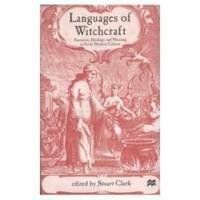 To the "languages" of witchcraft, rather than its causes. As a result, witchcraft seems less startling than it once was, yet more revealing of the world in which it occurred. " . Harper Collins. Very Good+ in Very Good+ dust jacket. 1996. First Edition. Hardcover. 0006279422 . Ex-library very good+, mylar cover & usual stamps & stickers, only light wear overall, clean & tight. B/w photos. " In December 1994, at a time of intense political initiative for peace in the Middle East, Bettina Selby set off on a journey from Cyprus to the Holy Land. Riding her bicycle wherever possible, she travelled through Lebanon, Syria and Jordan to Jerusalem. Her final destination was a city she knew and loved, so much so that the political turmoil of recent years had made her unwilling to return....." ; 8vo .